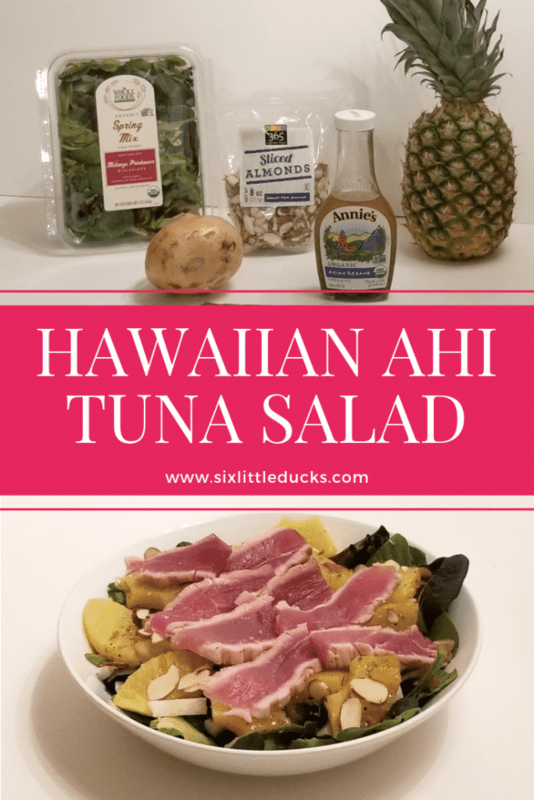 The Hawaiian Ahi Tuna Salad is one of my most loved salads. The restaurant Seasons 52 has a salad on their menu called Maui Tuna Crunch salad that I absolutely love. This is my version of that same salad. 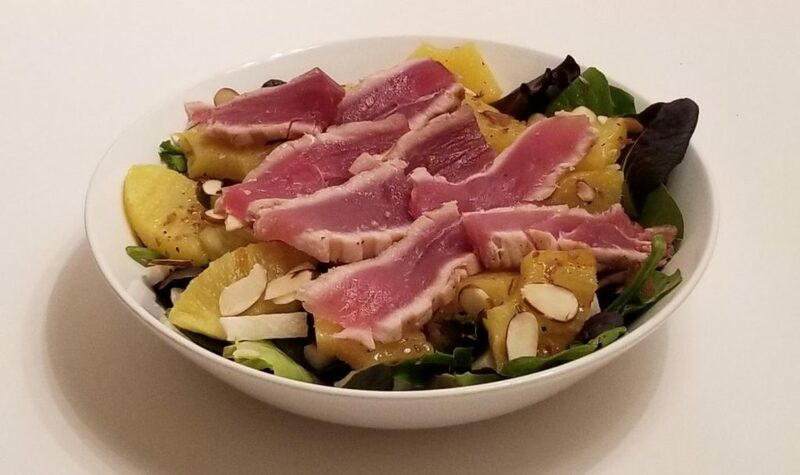 It brings all of my favorites together, the velvety smoothness of the tuna, the crunch of the jicama and almonds, and the sweetness and tanginess of the salad dressing. The combination of these ingredients is a delight to the senses and Point friendly to boot! 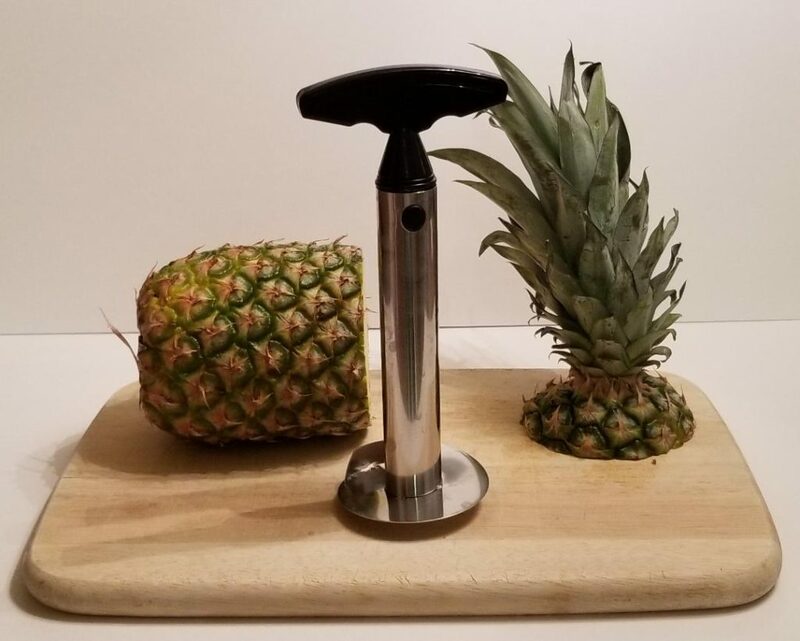 Remove pineapple rings from grill/griddle and let cool while you assemble remaining ingredients. 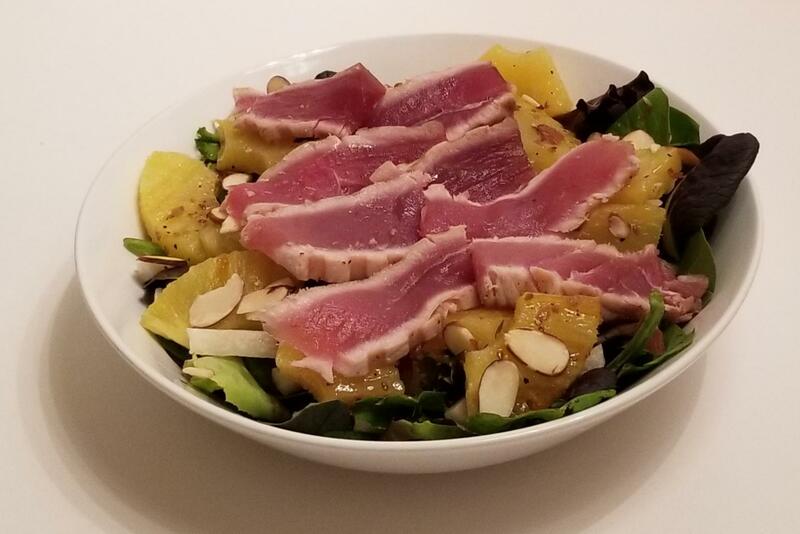 This is an adaptation of the Maui Tuna Crunch Salad at Seasons 52 restaurant. I love this salad and wanted to re-create it at home. This recipe does not disappoint! Spray grill pan or electric grill with cooking spray and preheat. 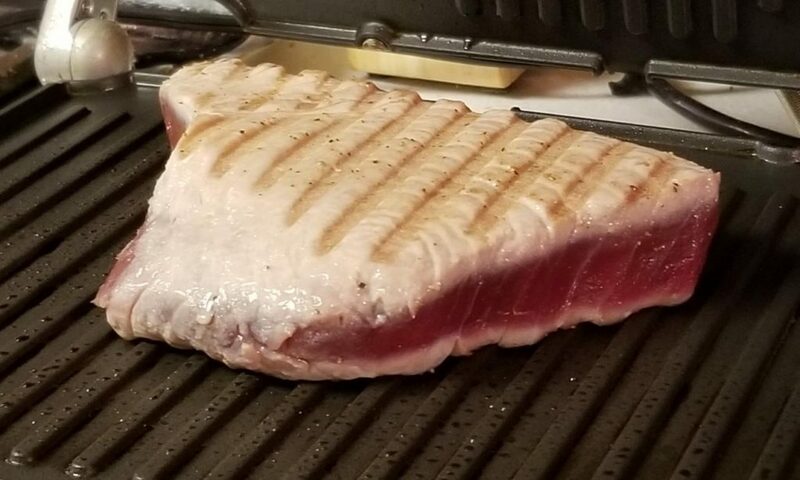 Sear tuna on grill pan or electric grill for approximately 2-3 minutes each side. 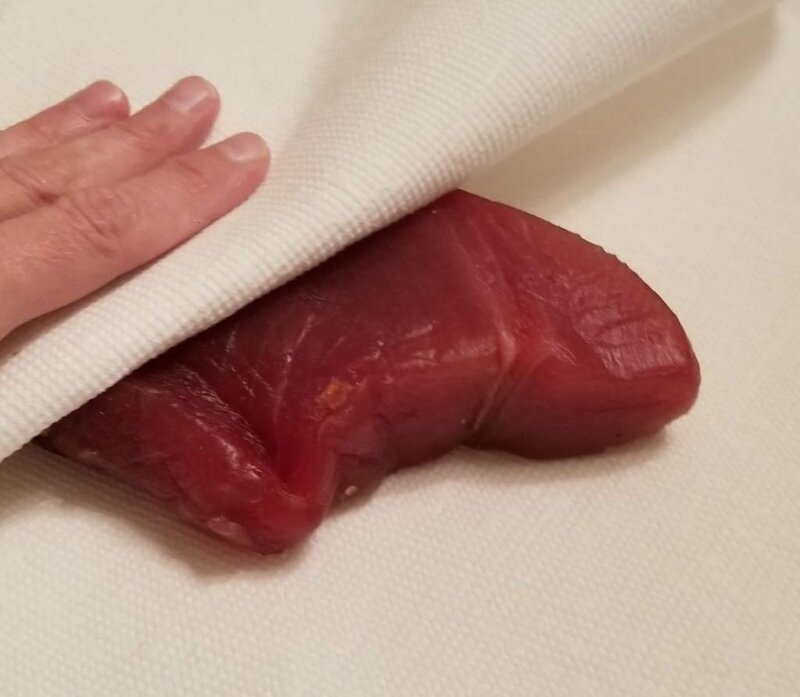 Tuna will still be pink inside once seared. Remove tuna from cooking surface and allow to rest for 5 minutes. 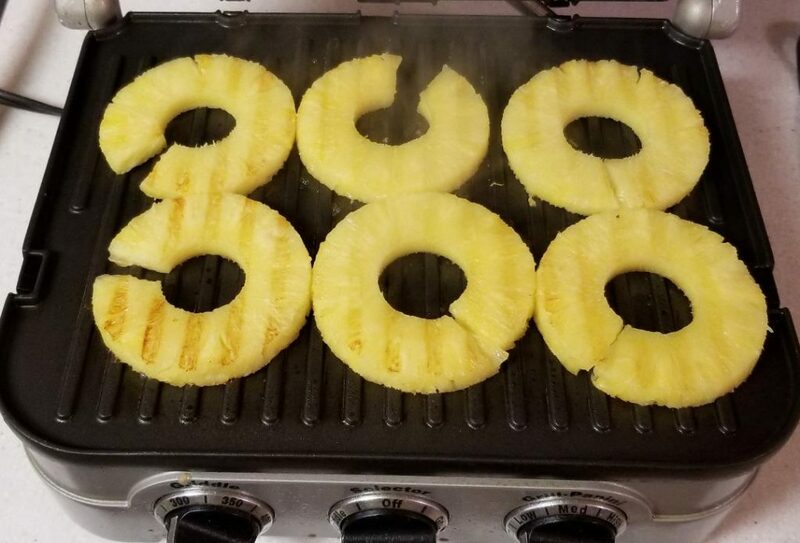 Put pineapple rings on grill pan or electric grill and allow to cook for 2 to 3 minutes or as desired. 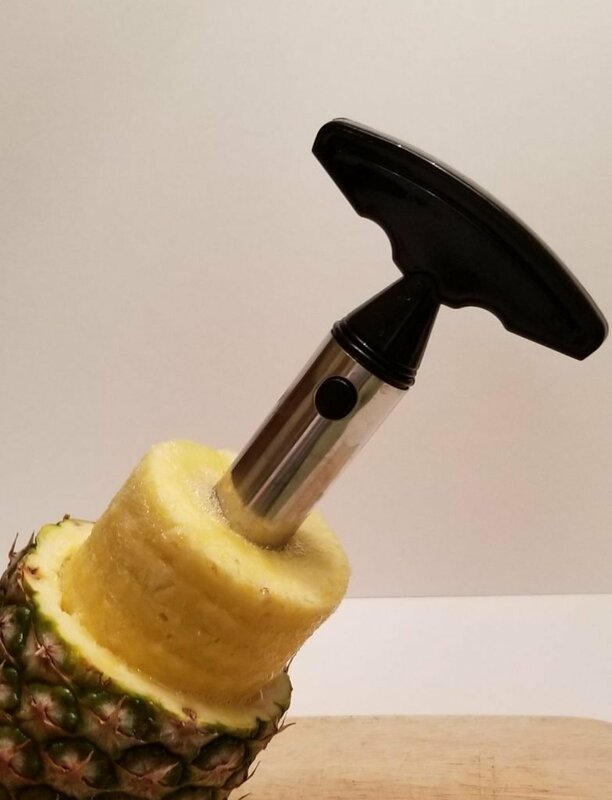 Remove pineapple from grill and let cool slightly. 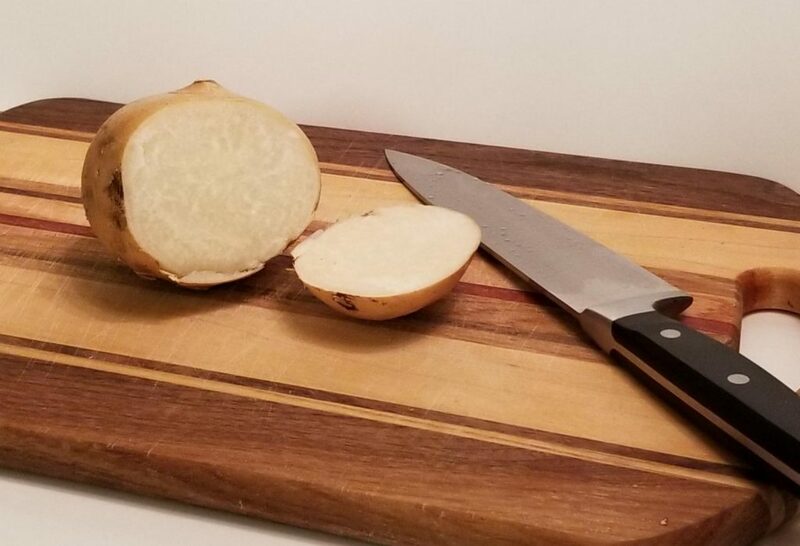 While tuna rests, chop jicama into small matchsticks or bite-sized pieces. 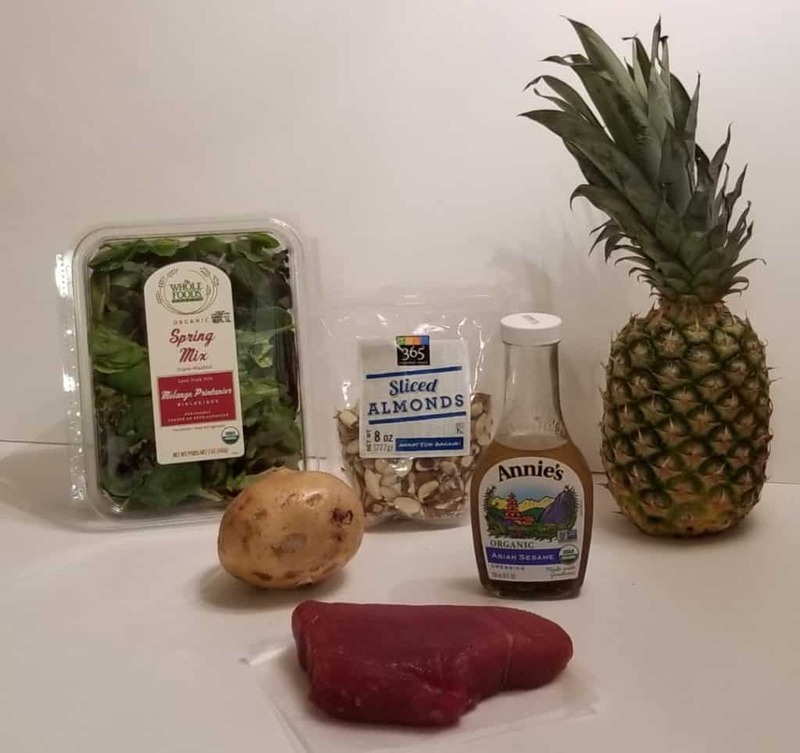 Toss lettuce with pineapple and jicama. Add dressing and toss until coated. Add salad to plate and top with sliced almonds. When tuna is finished resting, slice and add to salad.